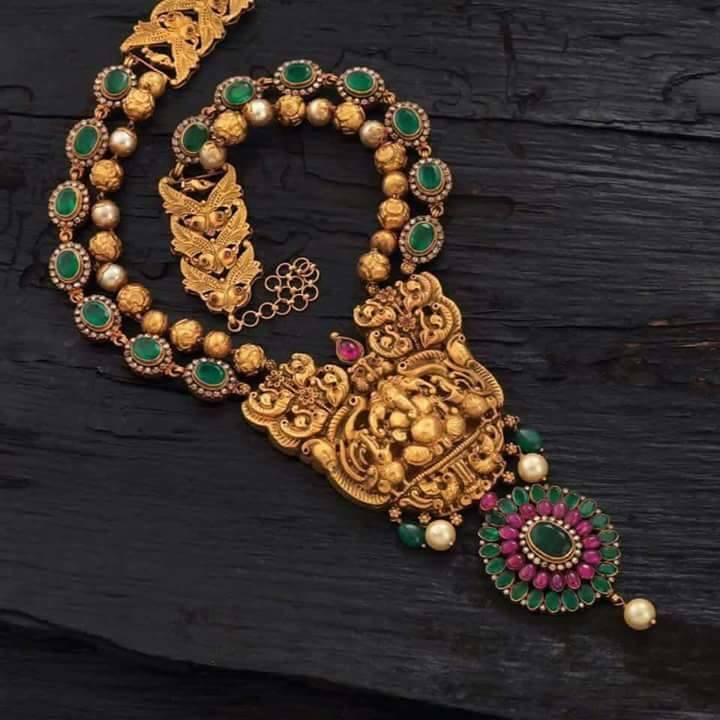 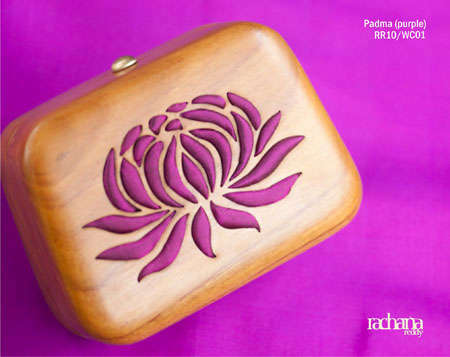 Lotus Sutra Collection from Rachana Reddy Accessories was born out of the creative passion of bringing forth avant-garde fashion accessories, artful concepts & detailing to life. 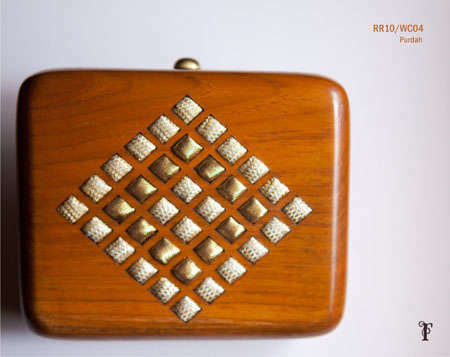 A graduate of the Cordwainer’s – London College of Fashion, her travels & interesting assignments in the fashion industry have helped shape the distinctiveness of her designs. 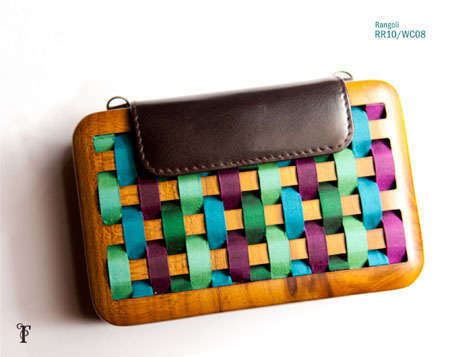 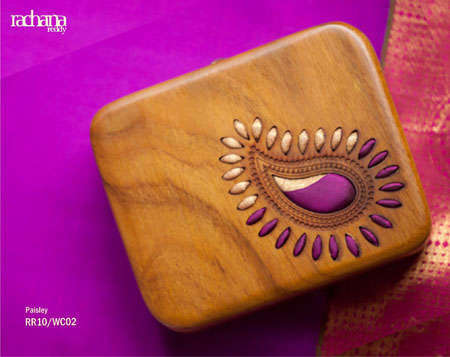 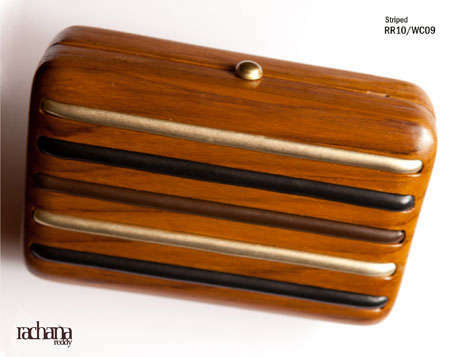 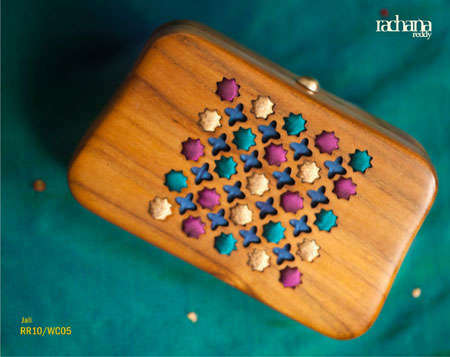 Conceptualized, designed by Rachana Reddy, the clutches are handcrafted by skilled local artisans.With an emphasis on clean cuts, elegant motifs & fine detailing, Rachana’s designs strive to blend tradition with contemporary luxury for the versatile woman of today. 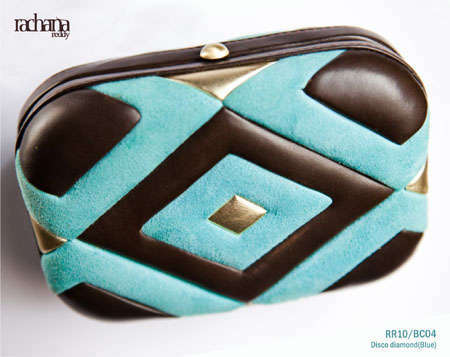 She draws inspiration from her cultural roots, architecture, travel, indigenous art forms from around the world. 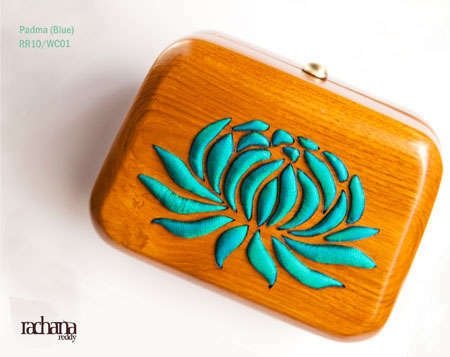 Since her launch in winter 2010 and debut show at Lakme Fashion week, Summer Resort 2011 in Mumbai, Rachana’s work has received wide recognition for the unique designs and detail oriented craftsmanship. 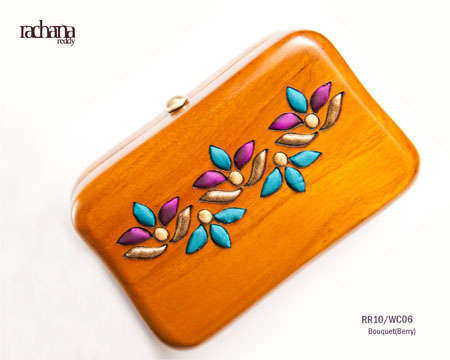 Rachana aspires to make truly inspired accessories that reflect the spirit of the contemporary woman, and one-of-a-kind pieces that will live on like jewels in the crown. 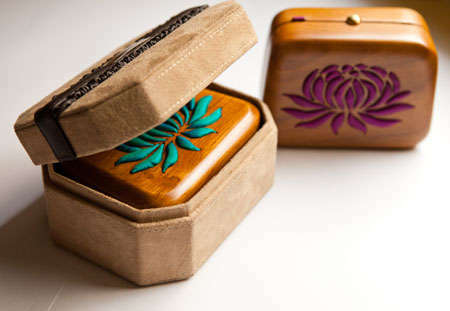 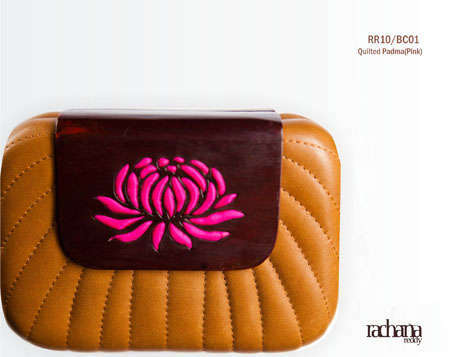 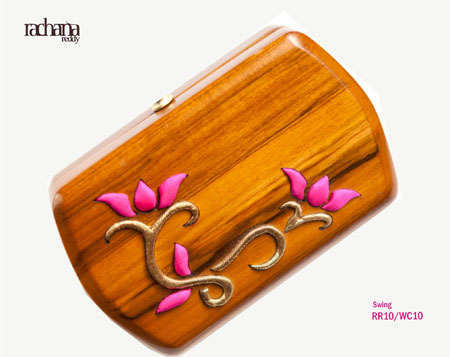 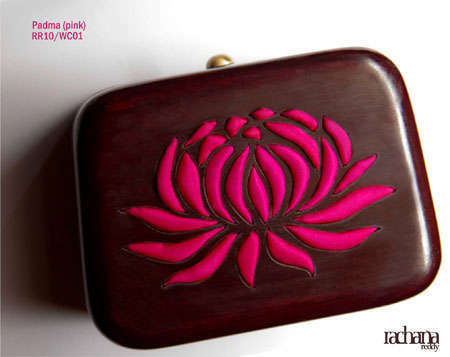 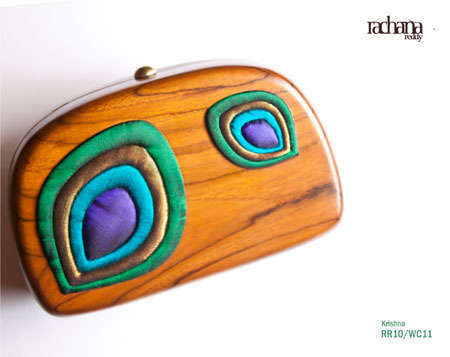 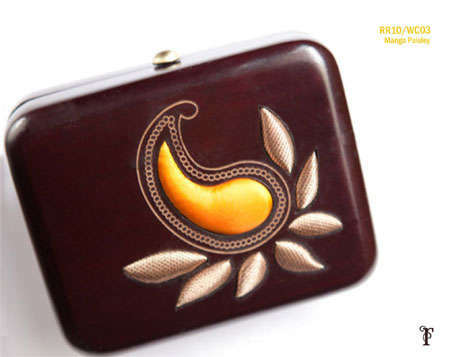 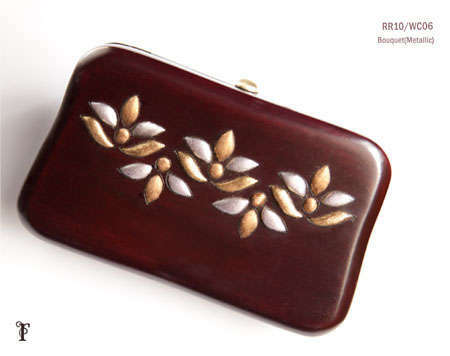 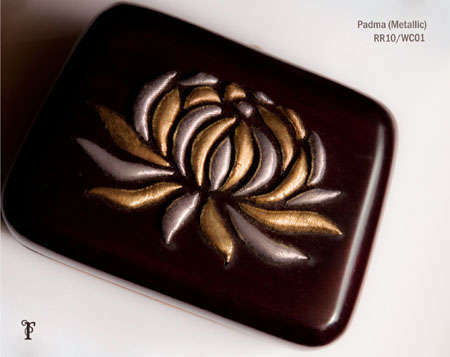 Beautiful Lotus Sutra Collection Purses from RachanaReddy. 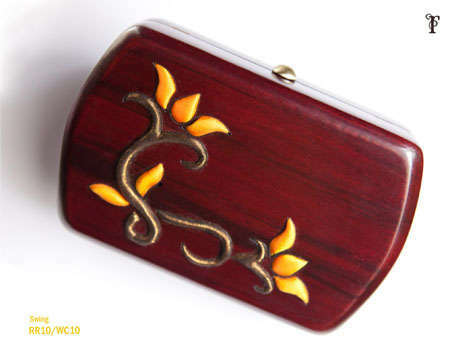 Please visit her website and FB Page for price enquiries and more details.